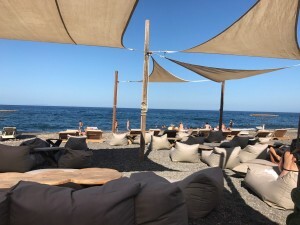 Yalos beach bar restaurant is located on the closest beach to Fira, Exo Gialos. 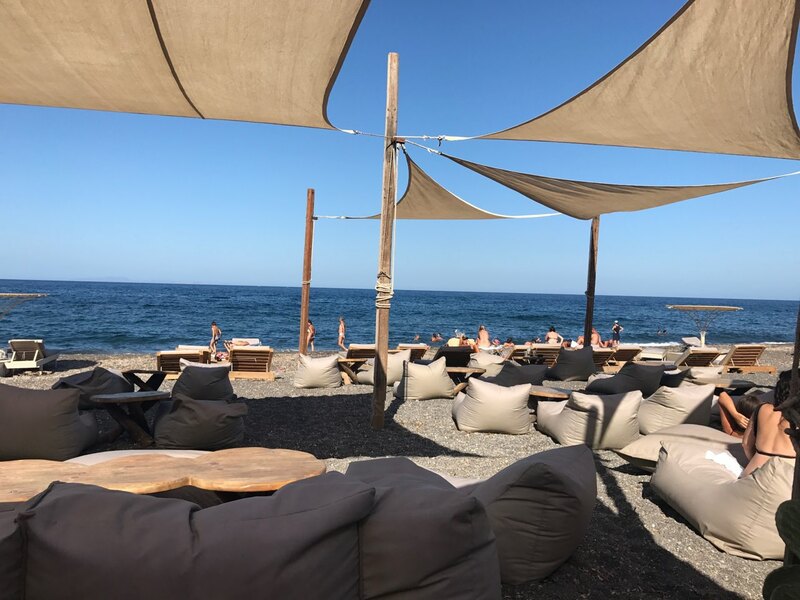 The summer-inspired decor in the earth tones of Santorini with sea life details creates the perfect setting for a delicious lunch or dinner by the sea. In the calm and beautiful environment of the restaurant Yalos you will taste authentic Santorinian dishes, fresh fish and many appetizers.